An Isla Vistan is confronted by law enforcement officials. Such sights are common during Halloween season as the city strives to be safer. The Goleta City Council held its annual Isla Vista Halloween meeting this past Thursday to inform Goleta inhabitants on how to stay safe this Halloween. One new precaution law enforcement is taking this year is instituting a parking permit program in the neighborhoods most directly affected by the I.V. Halloween festivities. Any car not equipped with a temporary parking permit for the entire weekend will be subjected to towing or be issued a citation. Neighborhood Services and Public Safety Director Vyto Adomaitis said the city of Goleta is preparing to distribute permits to Isla Vista residents. “Vehicles that will not have a permit in this area during Halloween from Friday through Monday during the times I indicated, without a permit, you will either be cited and/or towed away,” Adomaitis said. Towing personnel will be on hand to help car owners locate their vehicles. 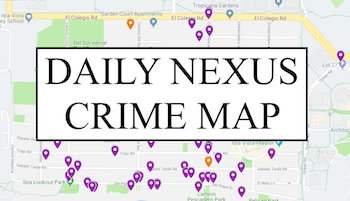 Historically, the highest call volume of Goleta residents reporting disturbances on Halloween occurs between 2 a.m. and 4 a.m., when people who spend the evening in I.V. retrieve their cars from surrounding neighborhoods. City of Goleta Chief of Police Lt. Butch Arnoldi said residents of Goleta should limit parking space for the I.V. Halloween attendees to prevent similar disturbances. Twelve additional deputies and 100 police officers volunteered from other UC campuses to serve I.V. on Halloween weekend. The UCSB Police Department will have all of its members working on Halloween night with directed patrols taking place around Goleta businesses and hotels. Highway patrol will also establish driving under the influence checkpoints, K9 units and commercial units. Five extra ambulances staffed specifically for I.V. and four additional transport vans have been contributed by the Emergency Medical Response team. Additionally, the Santa Barbara County Fire Department will have an extra engine available. UCSB Police Department Sgt. Mark Signa said the university bares many responsibilities towards the residents of I.V., particularly in light of the events of the past year. 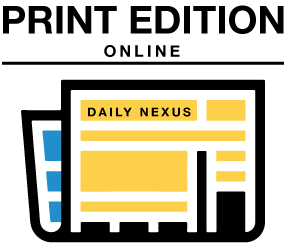 This article is a Daily Nexus online exclusive.